"Theater weather and clouds are the most critical things that I worry about," Stoffler said at the American Meteorological Conference here. 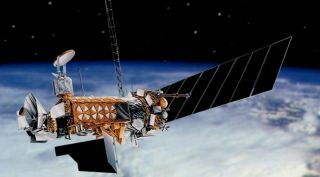 "Defense Meteorological Satellite Program is coming to end-of-life and sometime in 2021 the European satellites probably will, too." Before Meteosat 8 stops working, the Air Force hopes to move a National Oceanic and Atmospheric Administration Geostationary Operational Environmental Satellite into a similar orbit. "We are still working with NOAA about potentially floating one of their old satellites over," Stoffler said. "When the European satellite goes away, that fixes Central Command." It is a temporary fix, though. In the 2019 National Defense Authorization Act, the House Armed Services strategic forces subcommittee asked the Air Force Secretary for a plan by March 1 to acquire persistent weather imagery over Central Command without relying on foreign or legacy NOAA spacecraft. As the Air Force sorts out these questions, Stoffler remains enthusiastic about private sector capabilities. "One thing I'm really hanging my hat on is a lot of companies are looking at commercial weather applications," Stoffler said. "Congress plussed us up to buy commercial weather data. We are trying to use that money to help some of them get into that business." Small satellite constellations, for example, may help the Air Force grapple with its long-term need for electro-optical and infrared imagery. "There are a lot of people launching big constellations of small satellites," Stoffler said. "If you put some electro-optical/infrared sensors on some of those satellites, the global coverage you get is phenomenal with a refresh rate that is phenomenal as well. I think that's the future of where we're going."